Taking an MLB mound for the first time, two-way player touched 100 MPH, struck out six and allowed just three hits in six innings. Shohei Ohtani, the most celebrated hitter-pitcher in baseball since Babe Ruth, had mixed results in his first MLB regular season game in Oakland on Sunday. 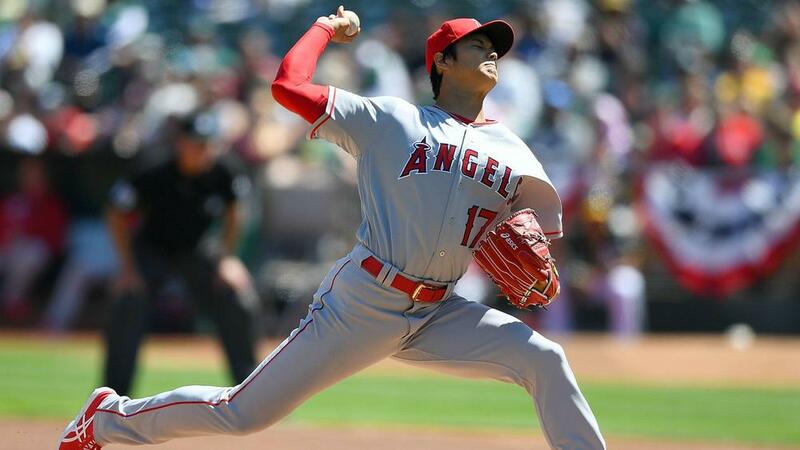 The 23-year-old Japanese star got the start for the Los Angeles Angels against the Oakland Athletics and he went six innings, allowed three runs on three hits with six strikeouts before manager Mike Sciosia pulled him with a 4-3 lead. The eyes of the baseball world were watching Ohtani to see how he adjusts to the American game. Ohtani hit 100mph in a perfect first MLB inning and stymied bats across his 92-pitch outing with his high-80s slider and splitter. His biggest mistake of the day came on an 82mph slider to Matt Chapman, who blasted the pitch 387 feet over the wall in left field. While Ohtani retired 14 of his last 15 batters after allowing the three-run homer, he did struggle a bit with his location. His first pitch was a ball to six of eight batters he faced after getting out of the three-run second inning. Ohtani missed his spot to catcher Martin Maldonado multiple times with his breaking pitches but the A's failed to take advantage, walking just one time. Overall, Angels brass had to be pleased with Ohtani's debut after a disappointing spring training in which he compiled a 27.00 ERA in two Cactus League starts while going 4 for 32 with three walks and 10 strikeouts at the plate. With his outing on Sunday, Ohtani became the second pitcher in Angels history (first since 1965) to throw at least six innings and record more strikeouts than baserunners allowed in his debut.